Yes, yes, I’m back, I’m not dead, and y’all can stop wondering if the GLI bankrupted me; it hasn’t. I’ll be popping in to say sup occasionally, but between two jobs, a stunnimg girlfriend, and impending cancer (AKA college year two in the fall) I won’t be around much. Last week, the GLI finally hit the big one, 60k miles! it took me 2 years and 3 months to get there, from when i bought her with 23k miles in the summer of 2014. it also marks 5,000 miles with all the modifications on the car. Picked up a set of S3 brakes for the GLI today. They’re 340mm (13.4"). At $700 i got 80% of a BBK’s potential power for half the cost! Best part is the set has like 5k miles on it! Will post pics when installed! I’ve had this stuck in my head today, so i will get it stuck in your heads as well! So, as i’ve mentioned before in here, i’m in college, and own a 300whp GLI. for some inexplicable reason, i don’t think my car is quick enough and i’m already (a month after i spent a stupidly large sum of money) thinking what to get next. Here, have your morning coffee, and enjoy some cinematographic greatness, brought to us by our buddies at petrolicious. Clutch and diff are in! All we’re waiting on now is the K04 Turbo to arrive! Here’s a few pics of said work! Stepdad spotted these at the dealer today! They’re in for testing, will be on sale soon! 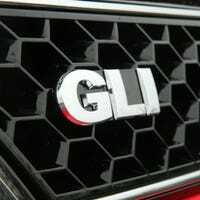 So as many of you know, i own a GLI. I was going to sell it and buy a new mustang GT, but due to some things going on recently, I decided to keep my hopped up jetta.